A notice to helpers can be added and will appear for all helpers on their home page when they sign in. 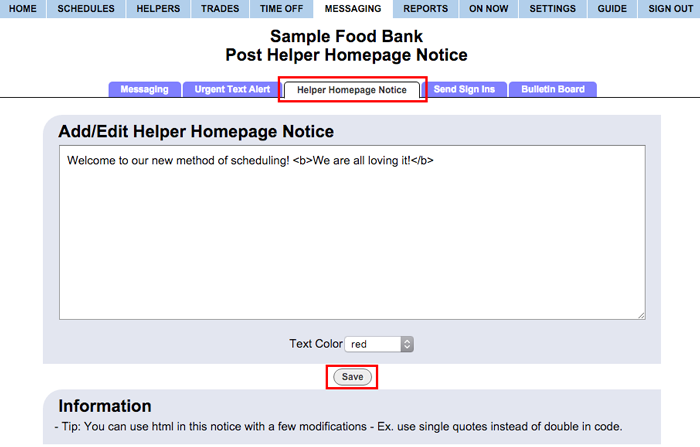 Type the notice that you would like to show on the Helper home page (Optional - you can use HTML to make the message have colors or bold, large font size, etc. See below for more details about using HTML).